Promotional Products Drive Millennials To Take Action! 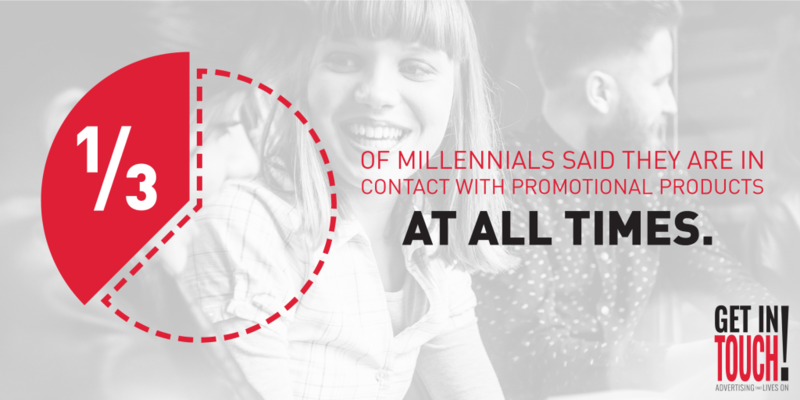 Millennials love promotional products! 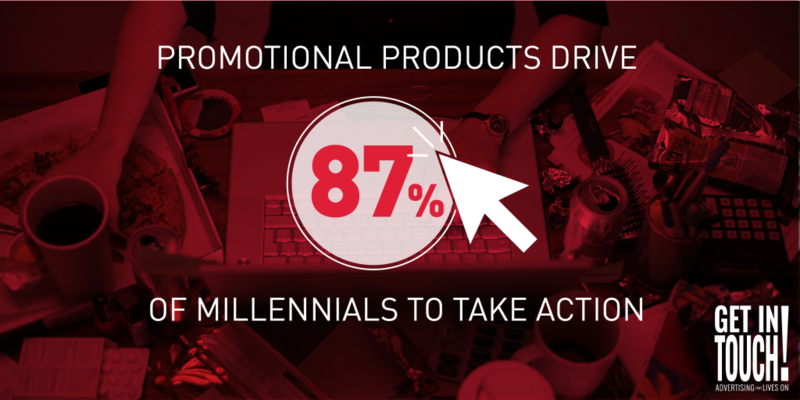 In fact, a recent study shows that promotional products drive millennials to take action 87% of the time! If you aren’t gearing your marketing strategy to include millennials you are missing out on a large demographic that, contrary to popular belief, is willing to spend. Millennials don’t spend less, they just like to be informed about what they are buying before they purchase. They are a very tech-savvy generation that wants to know what your product is, where it came from and understand your business’s social responsibility. So if your customer mix includes this group (they will be 75% of the global workforces by 2025) you should really consider making sure that promotional products are a part of your marketing mix. Catch Fire Marketing can help you set up a successful and targeted marketing campaign to effectively reach your audience, including millennials. Business owners need to showcase that they are fun and interesting, and a big key to that is marketing with the right promotional products. Catch Fire Marketing can help you set up a successful and targeted marketing campaign to effectively reach your audience, including Millennials. Business owners need to showcase that they are fun and interesting, and a big key to that is marketing with the right promotional products. Call us today to setup an appointment to discuss your personal marketing plan! Catch Fire Marketing is based in Greenwood Village, Colorado. Our showroom, which we use as an idea center, is open Monday through Friday and is conveniently located for businesses in Greenwood Village, Centennial and Denver.